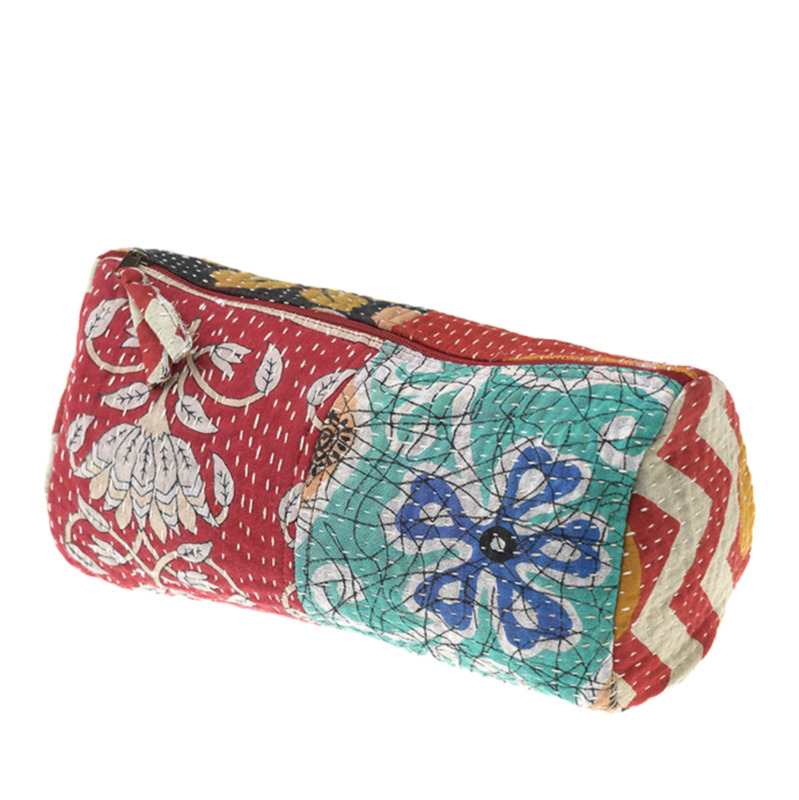 On-the-go travel bag keeps your toiletries together in colorful, global style. 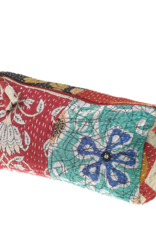 Recycled cotton sari construction features kantha stitching on exterior, and a plastic lining on interior. Zip-top closure. Colors and patterns will vary. 6 1/2"h x 10 1/2"w x 3 1/2"d MADE IN INDIA.